Here's a picture, from Lakeshore Bonsai. Please be alert for this bonsai; a tree of this quality will not just blend into the typical backyard in the USA or Canada. Nor will it be easy to dispose of if the bonsai community, and our friends, are on the watch. 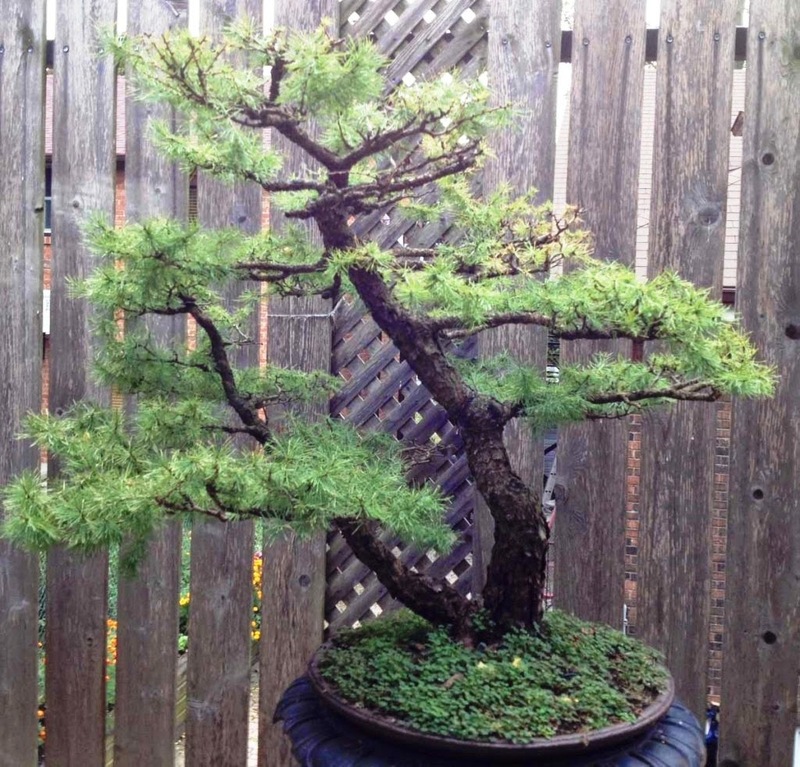 American larch bonsai (Larix laricina,) stolen in Toronto, Ontario on June 23, 2014. Photo from Lakeshore Bonsai. If you have your own blog, especially in the USA or Canada, please pass on this alert! I learned of this theft from Ian Young's Bonsai Eejit. Ian learned of it from Lakeshore Bonsai. You get the idea. And writing this post has taken me all of about 15 minutes, link, picture, and all. Not much to ask, in my opinion. Ft. Wayne Workshop with Adam Lavigne, Part 1. "Ramification Techniques," from Cartagena Bonsai.